"'The fear of the Lord is the beginning of knowledge. In [Christ] are hidden all the treasures of wisdom and knowledge.' You cannot know anything at all unless you start with God." And so begins the film, "How to Answer the Fool: A Presuppositional Defense of the Faith." The movie chronicles the presuppositional apologetic of Sye Ten Bruggencate (Proof That God Exists), who is quickly becoming one of the premier authorities regarding this biblical apologetic discipline. I will begin this review of the film by asserting a few of my own presuppositions. Sye Ten Bruggencate is my friend and my brother in Christ. I've served alongside him. I've broken bread with him. I've had conversations into the wee hours of the morning with him. And I've learned much from him that has not only sharpened my ability to biblically defend my faith in Jesus Christ, but the Lord has also used Sye and his biblical approach to defending the Christian faith to make me a better open-air preacher. Sye is a godly, albeit imperfect, man whose love for Christ, love for Christians, and love for the lost is evident in his ministry and his unwavering, sheepdog-esque defense of the Christian faith. Within the first couple of minutes of the film, Sye succinctly defines his approach to presuppositional apologetics. The remaining 80 minutes of the film builds upon that foundation. "When we give evidence to unbelievers, we make them the judge and we put God on trial." It's true. 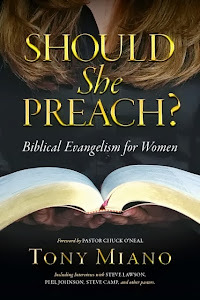 Over the last few years, with Sye's help and as a result of my own study of Scripture, I came to realize that there were many times in my open-air preaching and one-to-one evangelism that I had allowed myself to fall into the unbeliever's trap of playing God's defense attorney in their blasphemous courtroom--a courtroom where the Supreme Judge of the Universe, the Creator God, is put on trial, examined, and interrogated by the guilty criminal--the unrepentant unbeliever. And when I did that, when I sought to defend God as if He needed to be proven to and exonerated by the unbeliever who already knows God exists (Romans 1:18), I not only facilitated the unbeliever's blasphemy, but I also blasphemed God in doing so. 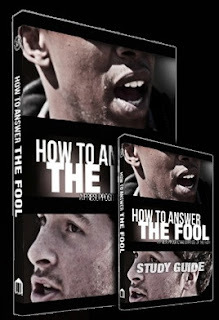 "How To Answer The Fool" teaches Christians how to lovingly, yet unapologetically, avoid stepping outside the Christian worldview to prove something to unbelievers they already know (God exists) and how to never, for a moment, allow the unbeliever's sinful worldview serve as the authority and place of reason in the conversation. Sye Ten Bruggencate is a dangerous man. In one scene, Sye tries to reason with a college student on a college campus, while other students listened in and tried to interject. As Sye gently and surgically defined, disassembled, and destroyed the young man's fallacious worldview (a worldview that claims to have purpose, meaning, rationality, and logic without God), another student in the crowd can be heard shouting, "You're a dangerous man! You're a dangerous man!" Sye is a dangerous man. He is dangerous to the hold atheistic-minded professors, pundits, and propagandists presently have on a generation of university-aged people who enter places of higher learning knowing things for certain, only to be taught they can't know anything for certain, and that they can be certain of that. He is also dangerous to a more-than-a-generation old, multi-million dollar cottage industry in Evangelicalism. 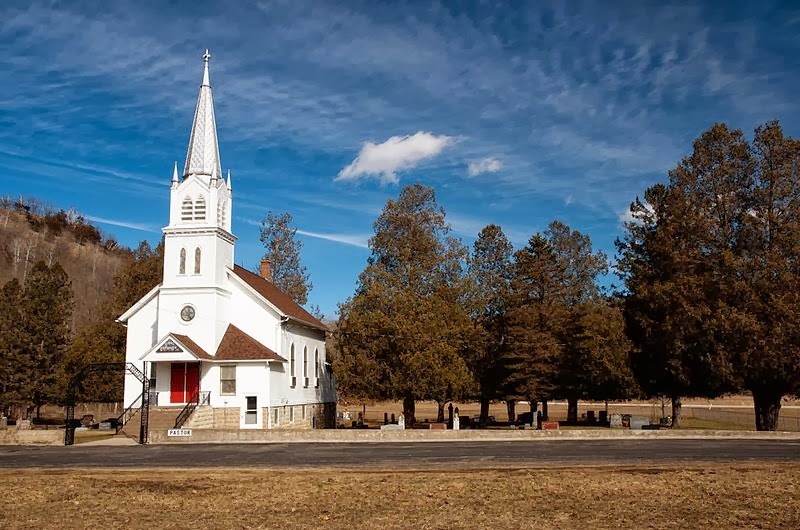 In one 80-minute film, Sye Ten Bruggencate, Crown Rights, and American Vision have rendered obsolete and, frankly, unbiblical an entire genre of books, conferences, and maybe ministries--the genre of evidentiary apologetics. Sye affirms in the film that "God can take a bent stick and strike a straight blow." God can use the presentation of evidences, along with the proclamation of the gospel to bring people to repentance and faith in the Lord Jesus Christ. The problem is with those who say they are Christians because of the evidence. Such a profession of faith is spurious--one that, unless righted by the regenerative power of the Holy Spirit, will lead a person to be cast into hell as a worker of lawlessness (Matthew 7:21-23). Only the gospel is the power of God for salvation. (Romans 1:16). Evidentiary apologetics has no such power. 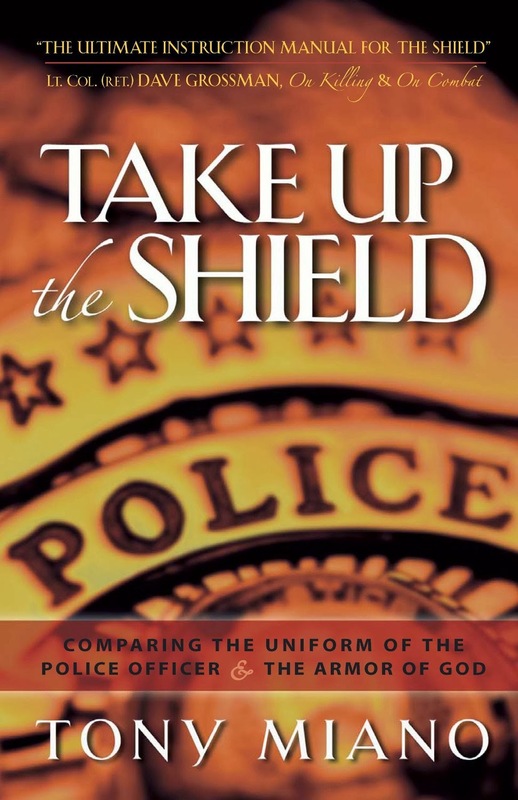 Sadly, well-intentioned evidentiary apologists like Strobel, Lennox, Turek, McDowell and son, Lane-Craig, and others--men who often set aside the Bible as their authority and replace it with archaeological, astronomical, cosmological, linguistic, and literary evidences--are like a police officer who obeys a criminal to drop his weapon in a gunfight. They might win the argument, but they are playing right into the enemy's hands. They drop their only weapon (the Word of God) while not expecting the same of the unbeliever. They play by the enemies rules. They claim moral and intellectual victories and seem proud of the fact they accomplished such feats without mentioning Jesus Christ or referring to His Word. Isn't that arrogant? Isn't that blasphemous? Sye is dangerous to the apologetic known as "Pascal's Wager." As Sye remarks in the movie, "God is not a bet. He's not a good bet. He's not even the best bet. He's the certain God that has proclaimed Himself certainly." "But I've always done it this way." Some will likely take Sye to task for what some may perceive as a slight against Ray Comfort and his "building/builder" analogy. I know Sye loves Ray and the people who serve with Ray at Living Waters. Sye's mention of Ray's analogy is in no way a personal slight against Ray. Sye's critique of the "building/builder" analogy, which takes all of a few seconds of the film, merits thought and attention. In the movie, Sye takes the evidentiary "building/builder" analogy and simply tweaks it to fit it into a presuppositional apologetic. Sye says, "God is not a builder. He's the builder. They [unbelievers] know it and they are without excuse." I used Ray's "building/builder" analogy for years. I continue to use many things I've learned from my friend and mentor. But I cannot continue to use this particular analogy the way I have in the past simply because that's what I've done so often. While it is true that buildings do not happen by chance, just as the Universe did not self-create itself by chance; the reality is that every person knows that God is the Creator. They simply suppress that truth by their unrighteousness. They love their sin and themselves more than they love God, but they know He exists. As I grow in my knowledge and understanding of who God is and of the truth of His Word, the things I say will change. My presentation of the gospel will grow to conform to the truth of God's Word, and so will my apologetics. This means that things I once said I may not say any more, either because I've learned that what I once said was incorrect, or that there is a better way of communicating the same truth. No analogy formulated by man (no matter how wonderful the man) is sacrosanct. The Christian must take every thought captive to the glory of Christ. The Christian must be willing to change his thinking, presentations, and rhetoric whenever necessary as he grows in wisdom, discernment, and understanding, and in order to grow in his conformity to the image of Christ. If I took the time to share my thoughts about the entire film, this review would be far too long. What I've shared thus far covers only about the first 20 minutes of the film. There is another hour of footage packed with biblical truth and glorious exaltation of the Lord Jesus Christ. Suffice to say, I thoroughly enjoyed this film. It is one I will watch on a regular basis as both a refresher course in presuppositional apologetics and as an encouragement to my Christian faith. As I seek to disciple younger open-air preachers, "How To Answer The Fool" will be required viewing and a topic of discussion for each young man I am blessed to train. As important as "180" has been to helping Christians and non-Christians understand that abortion is murder, and as important as "Babies Are Murdered Here" will be to answering the question, "So, what do we do about it? ", "How To Answer The Fool" will, I'm sure, be used by the Lord to equip many Christians around the world to defend their Christian faith without compromising the truth or acquiescing to the unbeliever's demand that we check our biblical worldview at the door, before entering the conversation. "How To Answer The Fool" is the most important Christian apologetic film of this generation--one that will stand the tests of time. Buy it. Watch it. Share it. Apply it.